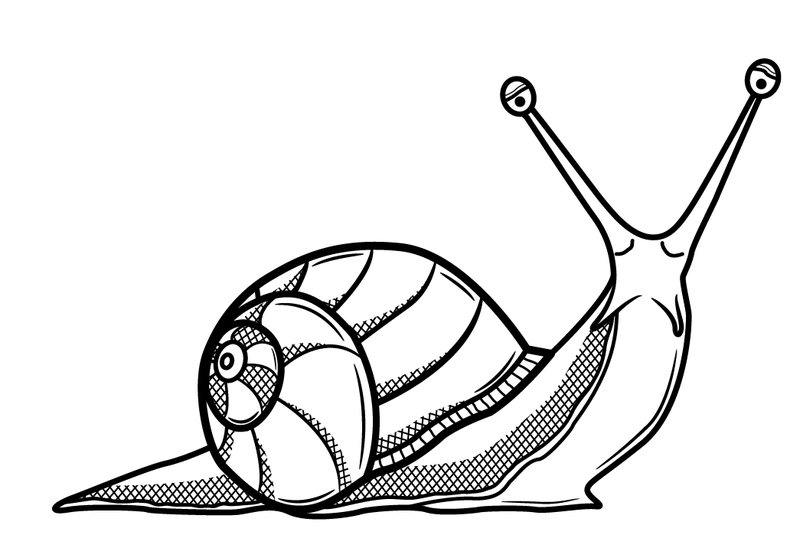 Once upon a time there was a snail, with a big shell around his back. There was only grass around him when he started walking. After a while he met another snail and now they were 1+1=2. They walked for a while when they saw a big green dome in the distance. They did not know what it was, but kept walking towards it. A little while later another snail met them and they were now 2+1=3. All of them now walked towards the big green dome which they still did not know what it was. A little while later, they met another snail with the same big shell on his back. They were now 3+1=4. And they all started walking towards the big green dome which was now very near and they were able to touch it. Now they came to know that this big green dome was a cabbage. They were all very happy. They kept touching it with joy with their 2 antennas each, making a total of 8 antennas since they were 4 (2 x 4 = 8). After much fun and joy, they started eating the cabbage and made holes inside it. After a while of eating, they found a caterpillar inside the cabbage which was also eating the cabbage happily. The caterpillar did not like the snails and he started to argue with them. A fight broke out due to this and the cabbage shook due to the commotion inside. The fight continued. Up and far on a tree, a bird was watching the cabbage field and noticed the shaking of one of the cabbages. It flew down to this cabbage, looked inside the holes and found the caterpillar. It put in its beak inside the cabbage, caught the caterpillar and flew away with it to feed its baby. All the snails, 4 of them, went into their shells to protect themselves from the bird. When they came out they saw the caterpillar missing. Not knowing where the caterpillar had gone, they enjoyed eating the cabbage without making noise. What did you like in the story? The snails and the cabbage shaking. How many antennas did the 4 caterpillars have in total? This story was told to my 6 old son at bedtime. The questions were asked after the story for which he returned the given answers. The story was originally told in Kannada.